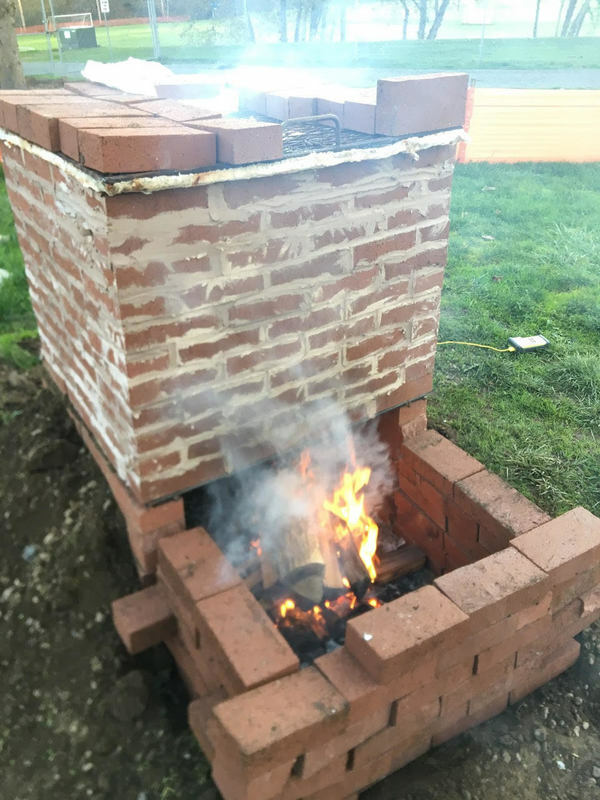 There is a new kiln at Ridgefield High School—but it’s very different from the high-tech electric kilns already in the schools. This one is outdoors, built of brick, and wood fired, recreating the type of kilns used for 9th to 11th century pottery. And a remarkable partnership brought several classes together to build and use it. Ridgefield High School teachers, Kara Breuer, who teaches chemistry, and Tamara Hoodenpyl, who teaches art, spent five weeks in Mallorca, Spain last summer on an archeological dig. In the layers of excavation at the site were pottery chips ranging from 1000 B.C. to modern day. The teachers were specifically interested in learning more about 9th to 11th century lusterware, with its shiny glazes. “The glaze was toxic,” Breuer explained, “so people don’t make it anymore. We wanted to find ways to recreate that metallic luster through chemical composition.” Breuer and Hoodenpyl won a grant to build the kiln, create a similar style of pottery, then lead spectroscopic analysis to determine the chemical composition of the fired glazes. Through experimentation, they hoped to recreate a glaze similar to the lusterware. Chris Shipp’s shop class helped build the kiln, brick by brick. Hoodenpyl’s art classes created and glazed the tiles. And Breuer’s class led the chemical analysis after the tiles were fired. The classes partnered together to learn the elements of chemistry behind traditional and contemporary methods of glazing and firing pottery, as well as art history and building techniques. 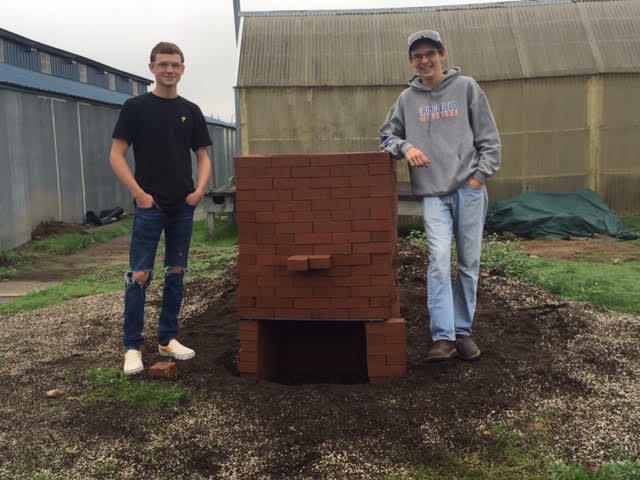 Shop students, Hunter Workman (left) and Michael Burtis, helped art classes build the kiln. It was a learning process for all the classes. The first kiln firing ran into some issues, so they did some troubleshooting and came back for a successful second try. While the composition of the clay was very similar to the original tiles, they had mixed success with the glazes. “We got close with the copper,” Breuer said. “So, we’ll change the recipes and do it again with another group of students.” It will be an active kiln for some time to come as the classes continue to collaborate, working together to unlock the secrets of ancient lusterware glazes. 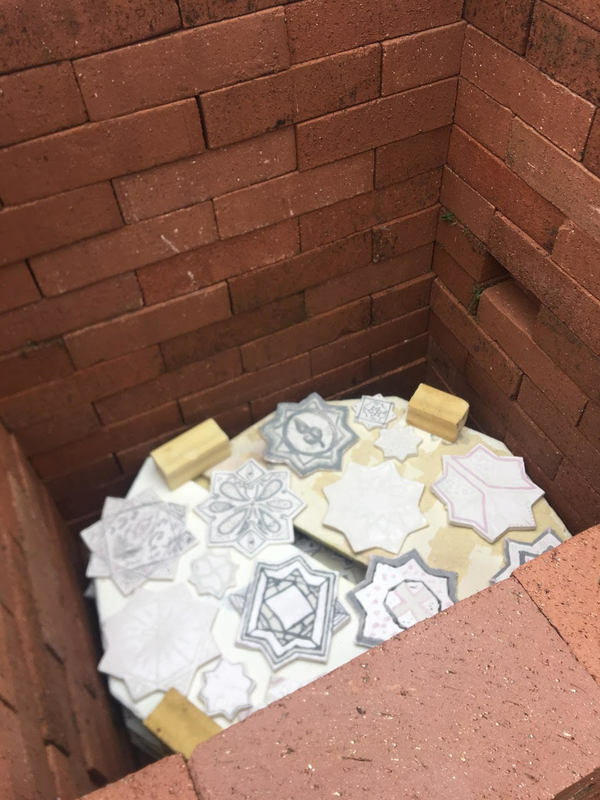 Tiles placed in the kiln for firing.